Yokogawa adds an optical sensor head to its range for use in test platforms for high throughput optical devices. 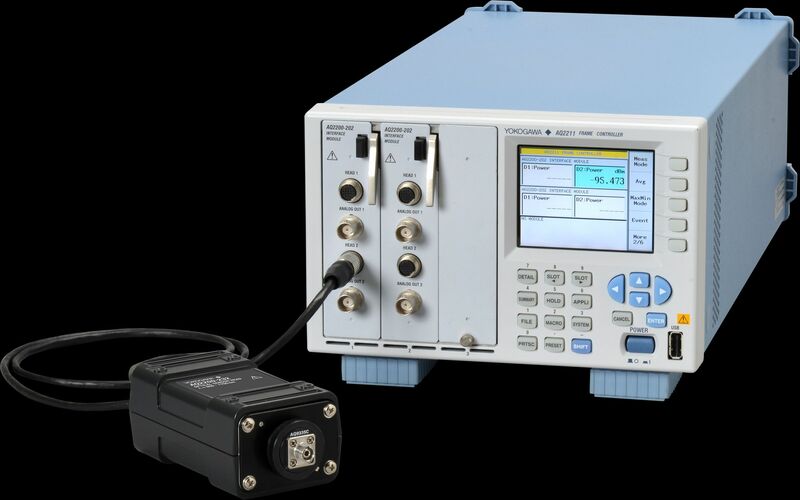 The AQ2200-232 is a new high-performance optical sensor head which joins Yokogawa’s existing family of optical power meter modules (AQ2200-215 and AQ2200-221) in the company’s modular optical test platform. The AQ2200-232 sensor head is used in conjunction with the dual-port AQ2200-202 interface module, and is targeted at making accurate measurements in challenging applications such as power testing of laser chips in free space light, I/L curve measurement of laser-diode modules and multicore fibre measurements (with an MPO connector adapter). Key features are a 5 mm diameter cooled detector, ideal for measurements in free space, a wavelength measurement range from 800 to 1700 nm and a power measurement range of +15 to -90 dBm. It also offers best-in-class uncertainty of ±1.8%, high stability with constant-temperature control, and a wide single-range power range of 30 dB. Until now sensors currently available on the market were not sensitive enough to obtain high-precision test results. The sensor’s reading should also be as accurate as possible because certain lasers emit low power by design to conform with international safety regulations and their characterisation must be very precise to be sure the laser is emitting the highest possible power without breaking the relevant safety laws.